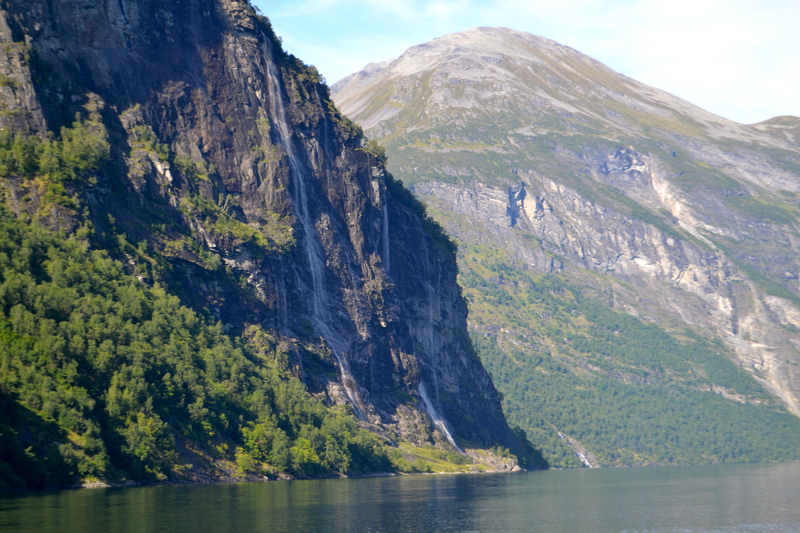 Norway is famous worldwide for its spectacular fjords and the Geirangerfjord is no exception. 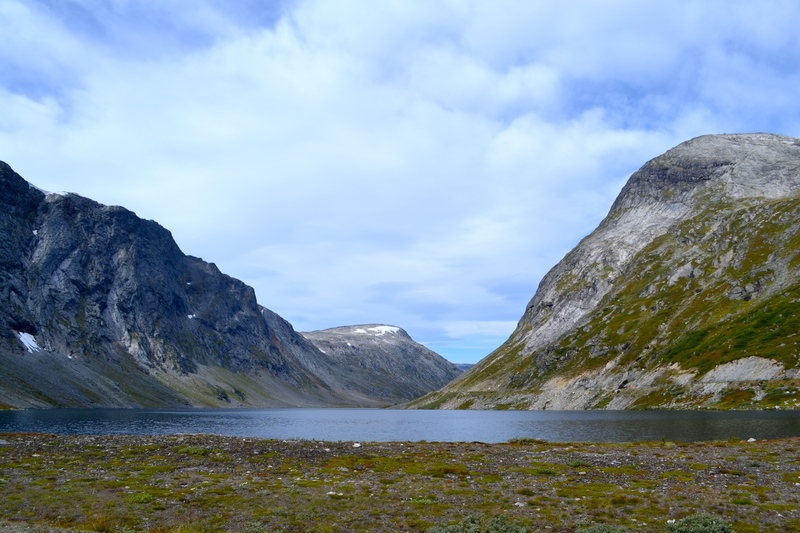 Surrounded by impossibly steep mountains and lush green valleys, the Geraingerfjord is a perfect place to rest your weary body for a few days. 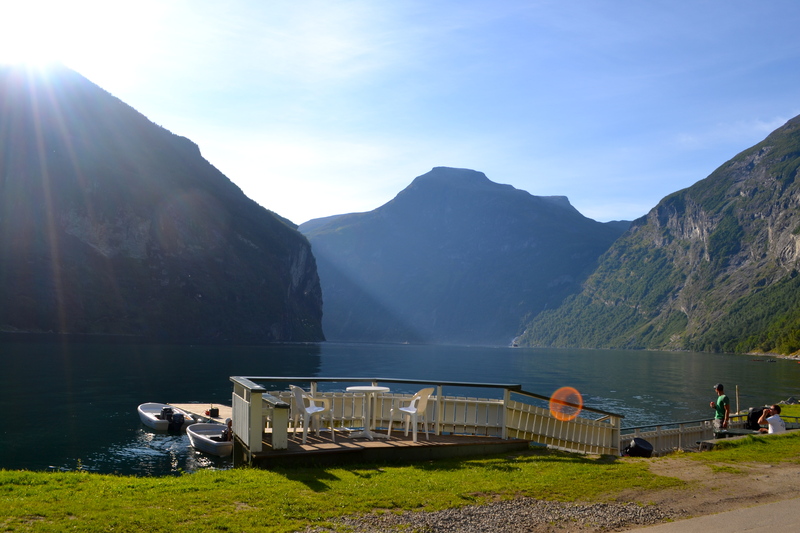 We stayed in Hole Hytteuleige, a chalet centre, 2.5k kilometres from the Geiranger town centre. 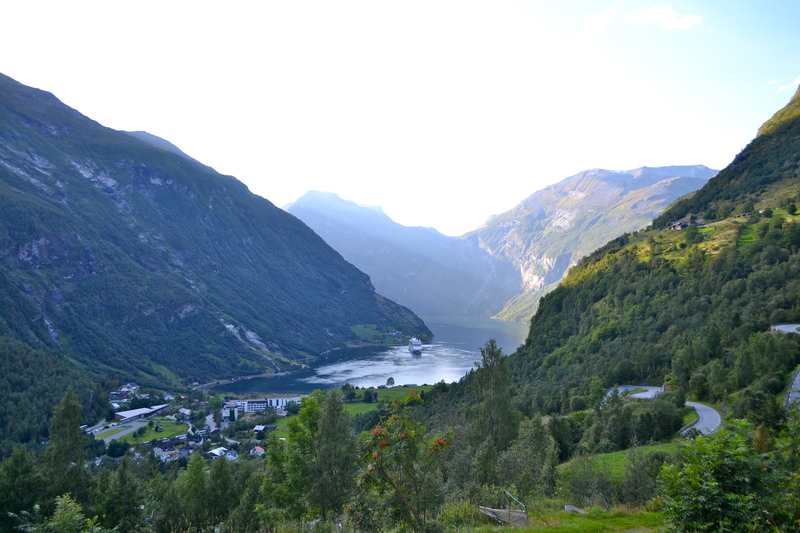 Located in the mountains, our cosy cabin had a bird’s eye view over the fjord. Imagine waking up to this view every morning! 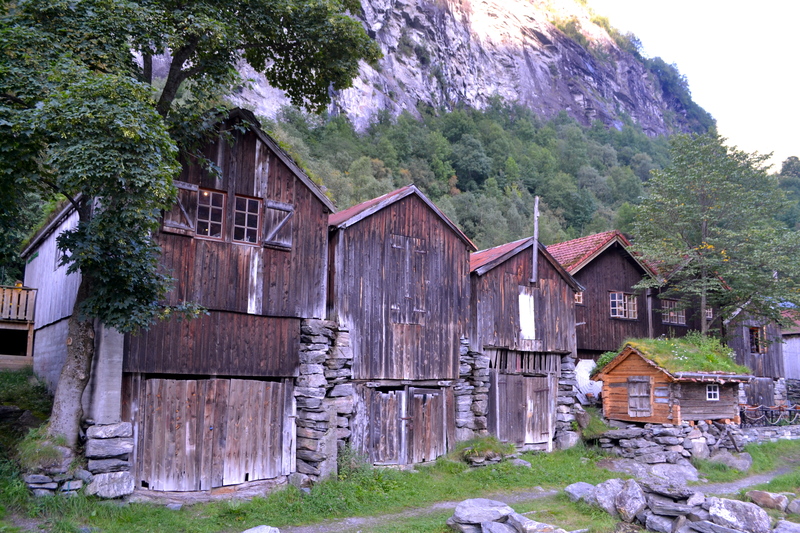 Geiranger is a cute atmospheric town with loads of character. Unfortunately the sleepy town is overtaken by hordes of tourists arriving everyday in the peak season by ferry and bus which spoils its charm a little. 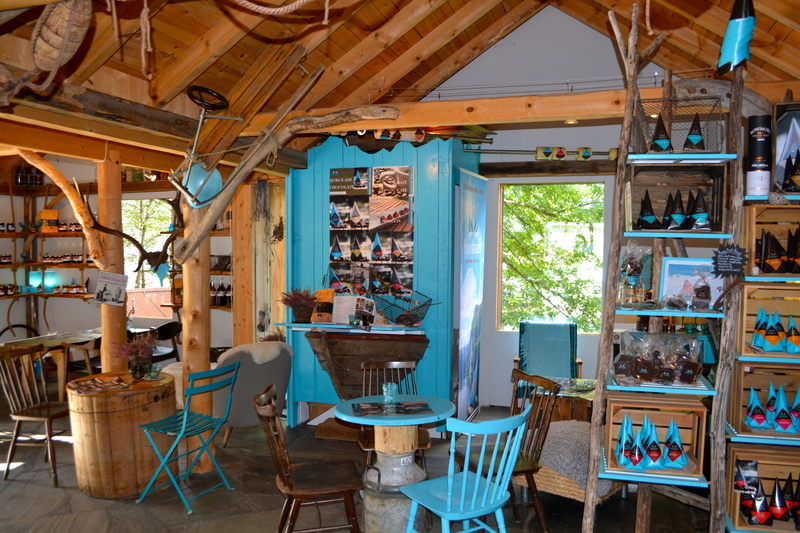 Try to visit early in the morning, or when the ferries depart in the evening, so you can enjoy the town for yourself. 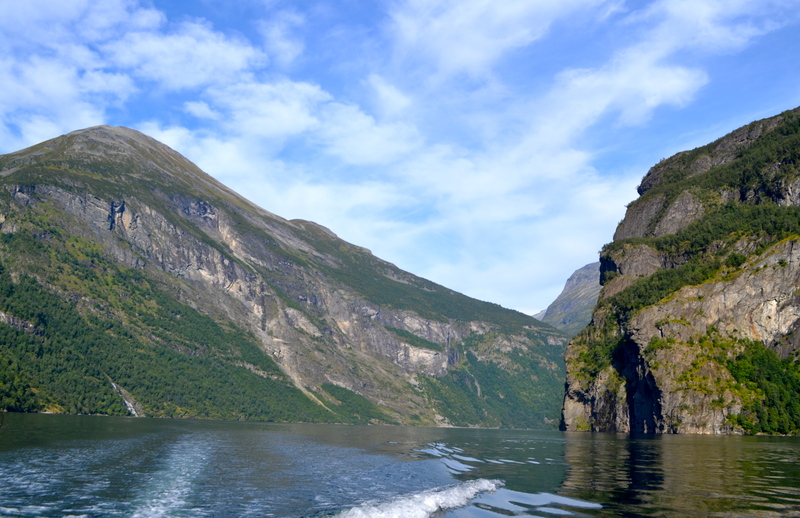 The perfect way to explore the emerald-green waters of Geirangerfjord is by boat. We hired a high-powered speed boat for an hour to see how far we could go. 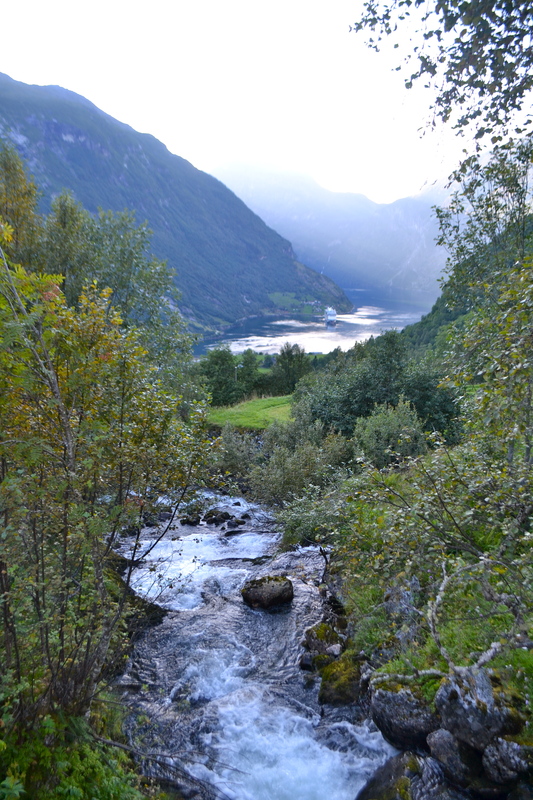 As we expected the scenery was spectacular – full of cascading waterfalls, abandoned cliffside farms and lush green vegetation. With its myriad of falls reflecting a rainbow of colours in the sunshine, the Seven Sisters Waterfall – consisting of seven different streams – shouldn’t be missed! 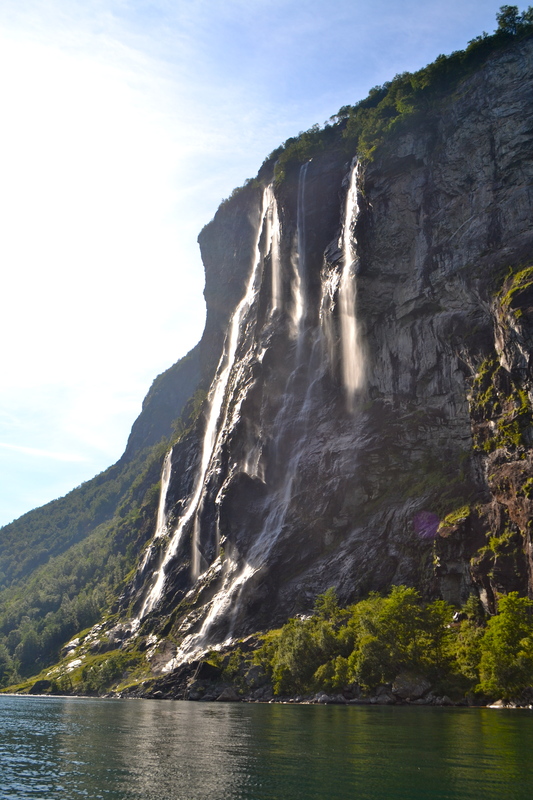 Legend has it that the Seven Sisters dance playfully in the sunshine while across the fjord, the Suitor waterfall flirts playfully with them from afar. 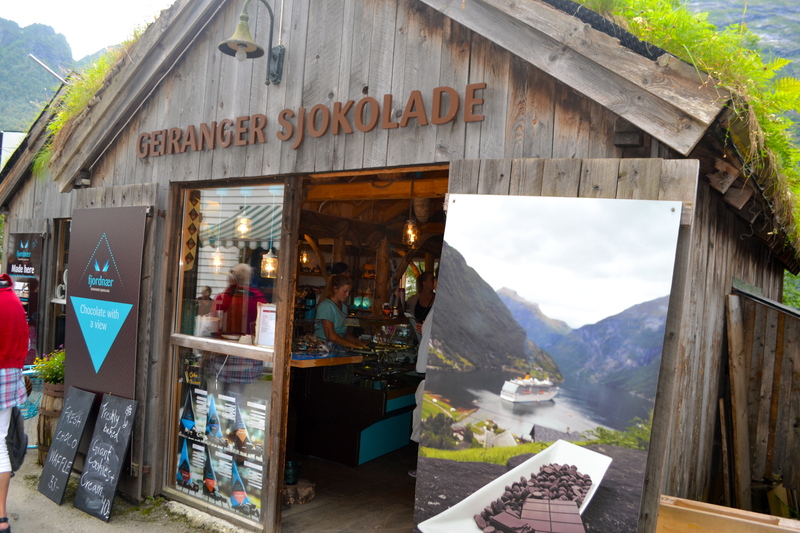 There’s a delicious chocolate shop in the main town called Geiranger Sjokolade which makes a delicious range of home-made chocolates and truffles. 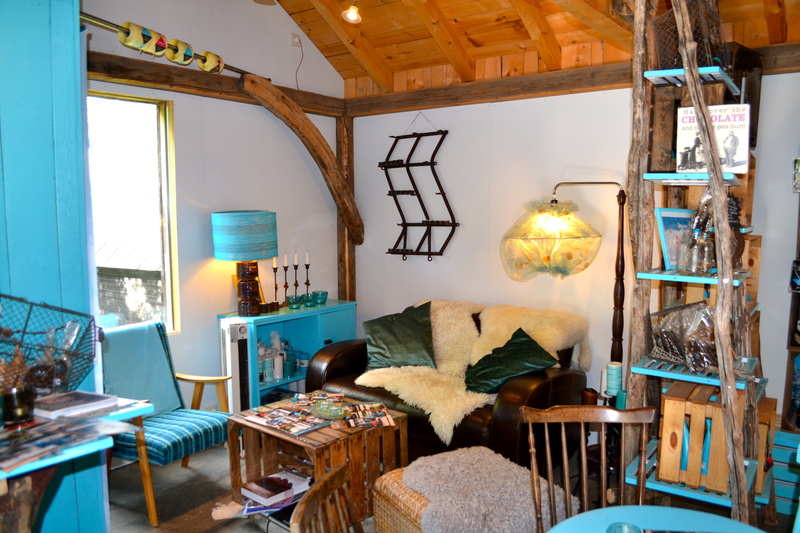 It’s a cosy cafe full of Scandinavian wooden furniture and snuggly furs and woollen blankets. 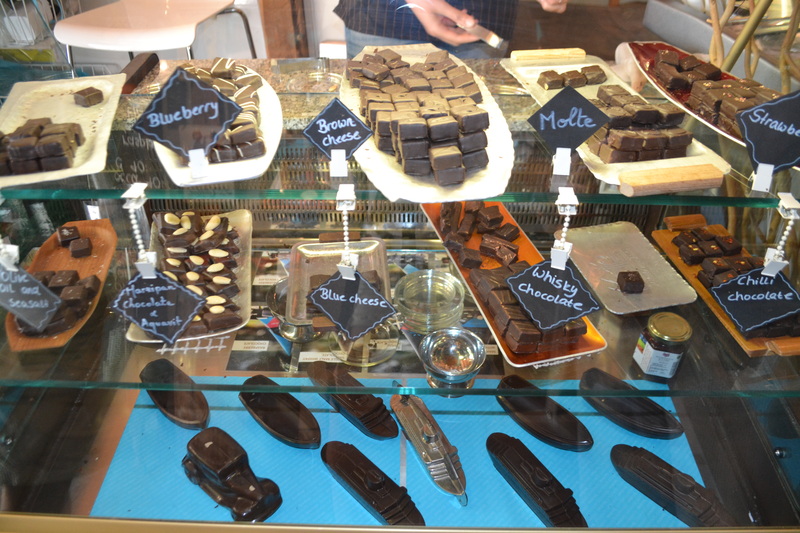 But of course the best thing about the shop is the chocolates! 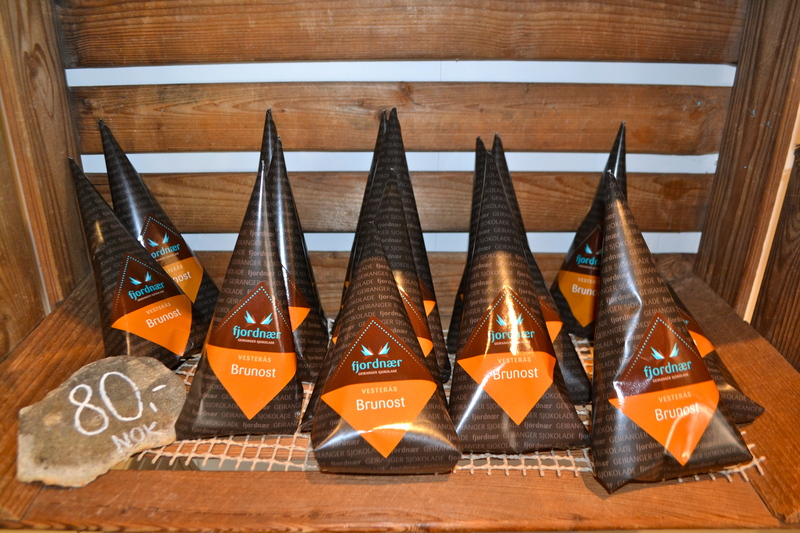 The shop is famous for its unusual chocolate flavours like brown cheese, olive oil, blue cheese and berry. You can even see the masters at work in the basement downstairs if you sneak around the outside to the back of the cafe. 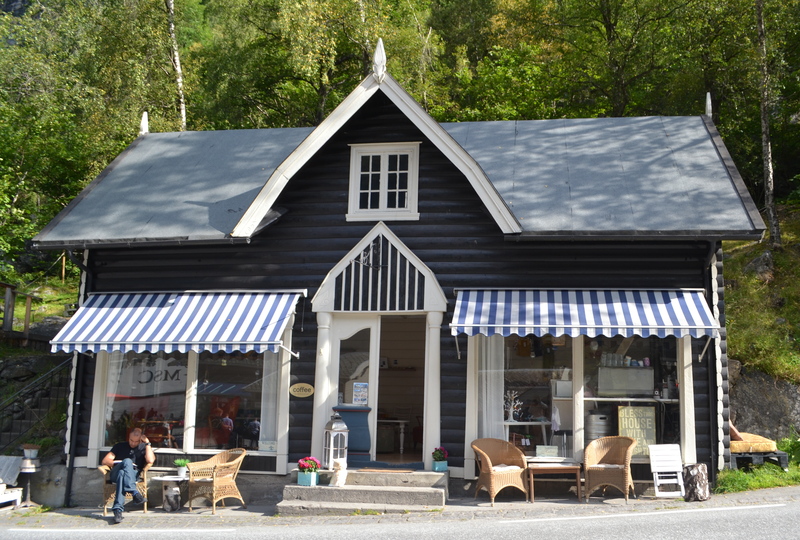 There’s a great cafe culture in Geiranger to cater for the tourists. 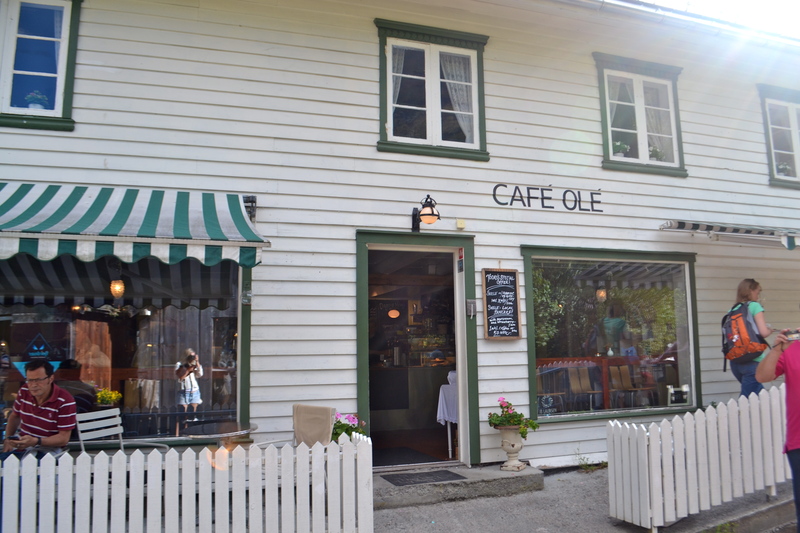 Cafe Ole is one of my favourites in the area and sells a good range of light snacks and drinks. 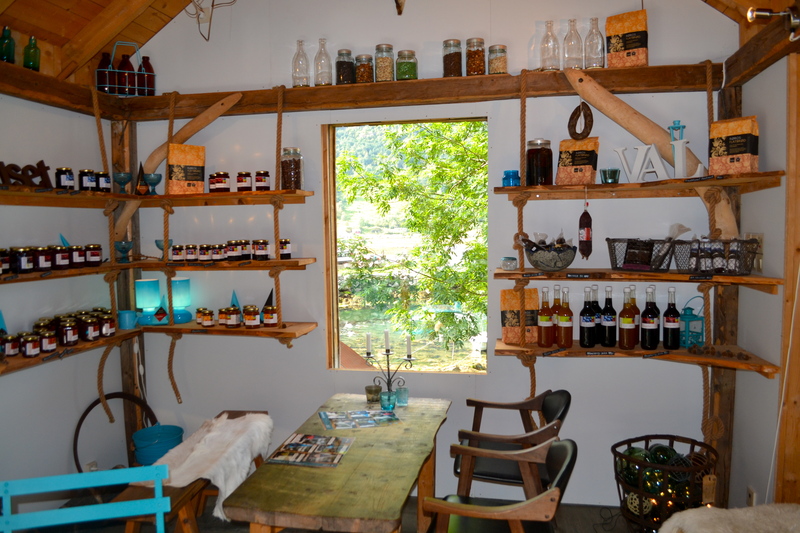 It’s in the town’s main street so a perfect spot for watching the world go by. 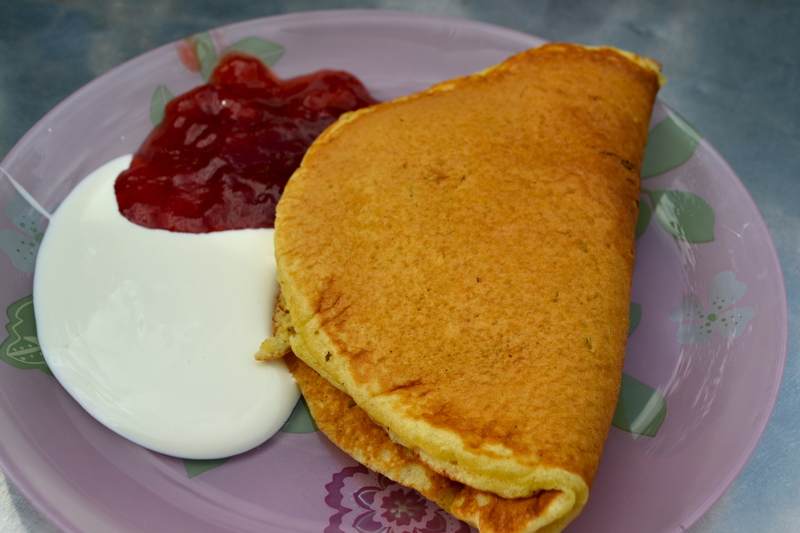 Of course I couldn’t resist the local pancake “svele” served with creme fraiche and homemade strawberry jam. 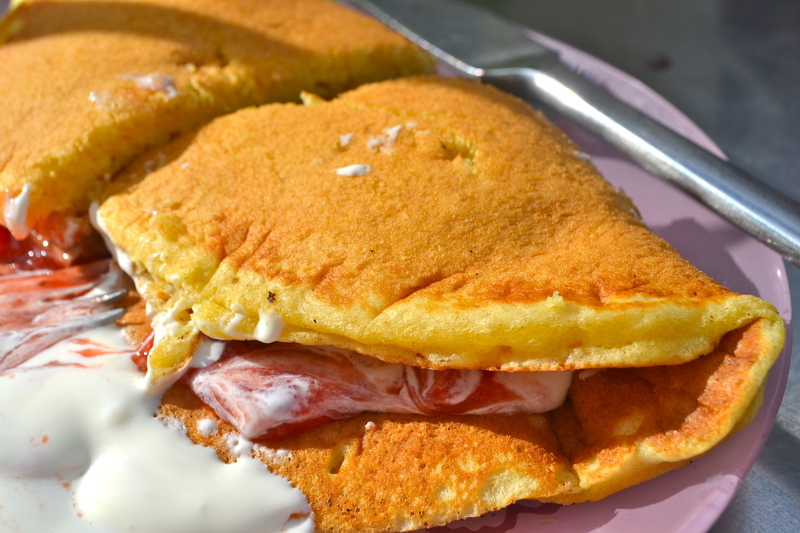 It’s thick and fluffy like an American pancake but folded in half in the shape of a crescent. 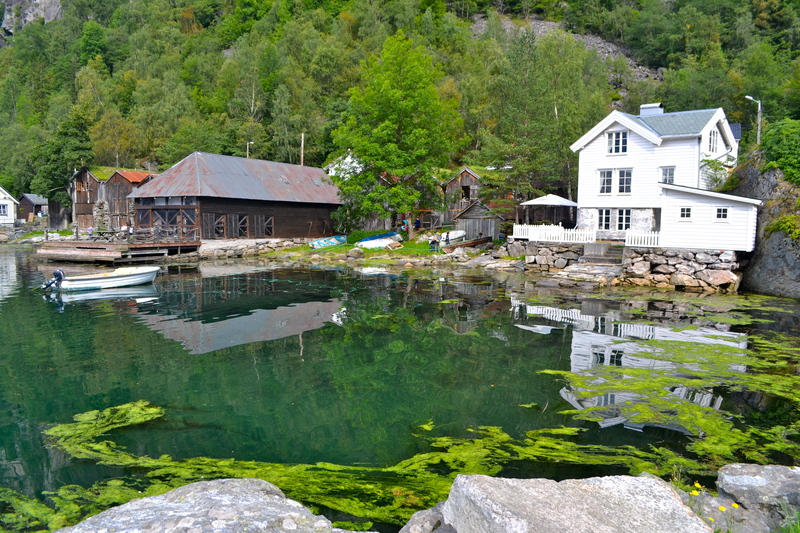 It’s a real delicacy in western norway and has a strong tradition as a food enjoyed in the fjords and ferry travels. 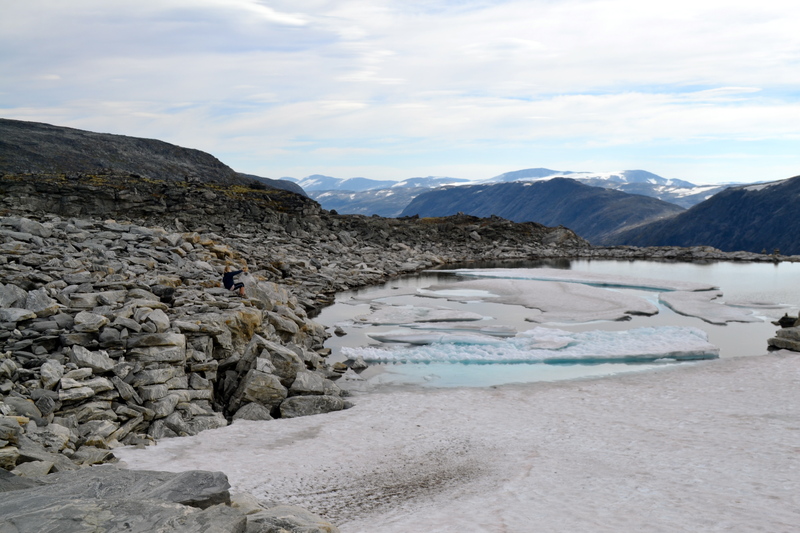 It’s worth a trip to Dalsnibba, the highest view-point in the area boasting spectacular views over Geirangerfjord and the surrounding landscape. 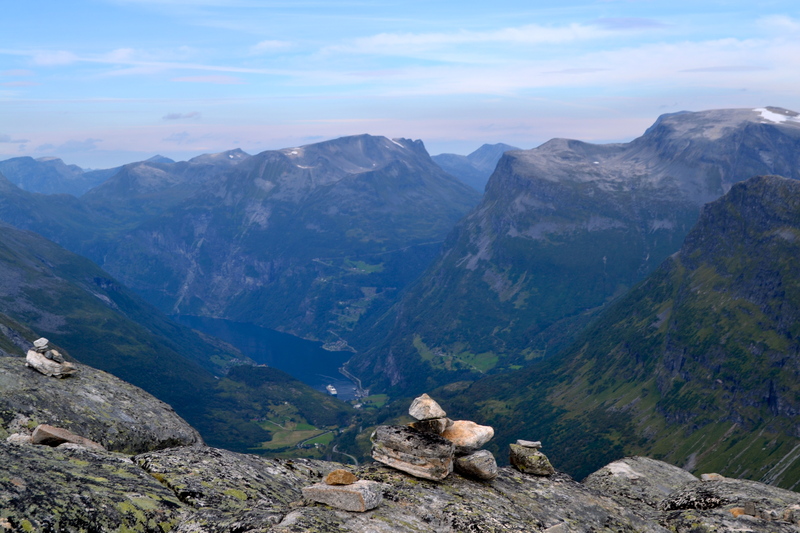 When you reach the summit at the top, you will feel like you are in the sky at 1500 metres above sea level. We were extremely lucky with the weather because there was no fog so the landscape stretched as far as the eye could see. I even managed to find some snow! 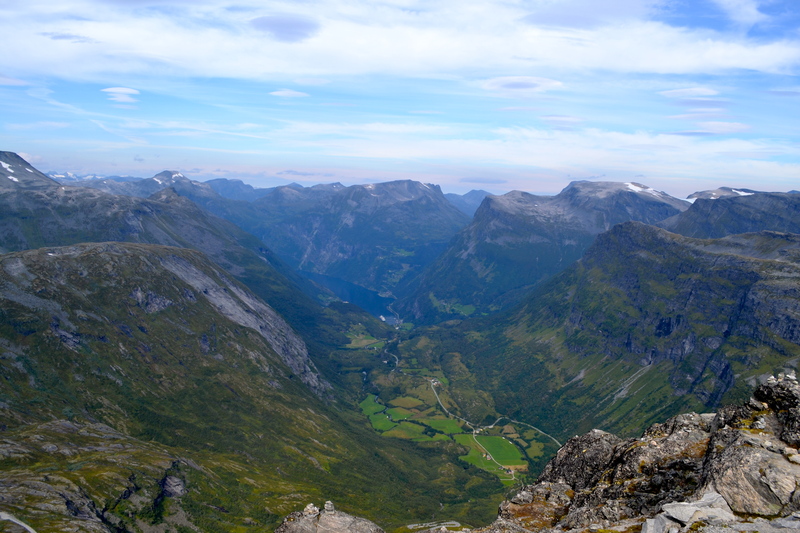 I will never tire of the scenery in Norway. The only problem is trying to leave! Next Post Dishoom’s Ginger Pig Bacon Naan Roll – is this the best bacon roll in London? Fabulous – this looks absolutely divine.